We want people to just get it. When we pitch an idea or concept to someone we want all the light bulbs to go on at once. Sometimes people do just get it. But that’s the exception. And when they don’t get it right away we often get frustrated or we try to force it. It’s as if we have forgotten what it is like to learn something new. How easy it can be to be overwhelmed by new concepts, especially when you have your real job to do. You don’t even know enough to be able to gauge the value of the new concept so you can’t even make a choice to prioritize it. Then we start making requests of them to start making changes, implementing new things. It’s hard enough that they don’t fully understand yet (not that you don’t ask them to do foreign things because it is in doing that we learn). But the psychological risk here is that they often don’t see you as requesting them to try a new process but demanding that they try a new process. They feel this because most likely you’ve been assigned this task by someone above them and view your requests as not optional. And no one likes to feel that demands are being put on them from an outside force. I don’t know how to avoid this entirely. Change comes with resistance no matter how you sugar coat it. You can, however, minimize this by building the relationship first and then requesting change and experimentation. There are many ways to build relationships. There are also many ways to damage relationships. One good way to damage a relationship is to start by asking for something before a relationship is built. Like in the example above, if you start asking someone to change before you build a relationship you’re creating a one way dynamic. You’re asking them to do something and you’re asking them to trust you. All the burden and effort is on them. I wouldn’t want to be part of that relationship. What can you do then to avoid this? Plant seeds, not demands. Plant seeds by educating them on the concept, illustrating the concept, highlighting examples of the concept without asking them to do anything. 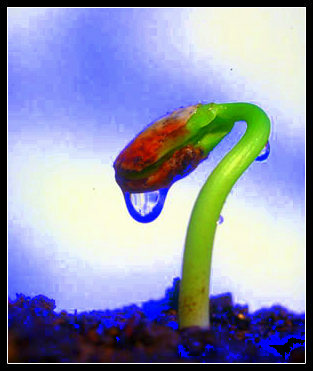 Give the seeds time to germinate. Continue to water the seeds by offering more knowledge. This shows a commitment to them by you. By offering observation on their operations in context to the concept. This shows you are paying attention to their world. This is how you build trust. This is how you build good will. This is how you can give without asking. If you do it right, they may ask you when they can start a new project or process. If you do it right, you may see an opportunity to offer assistance in trying something new. Yes, there will still be apprehension but there will also be willingness. In fact, you should always be planting seeds with all your business partners. You should always be educating them. You never know when these seeds will germinate. Plant seeds, reap benefits. Hello Analyst, Engineer, Change Agent or whatever we call ourselves now days. You’ve been assigned a project that is about change. So what’s your angle going to be? Here’s what your angle shouldn’t be. Your job is not to attend a meeting or two and then head off into the wilderness and return with the 10 commandments. Your job is to forge a path to the solution. This is especially important for young analysts to learn. Do not go back to your cube after gathering a few facts and drum up a solution and then present this back to your customer. Epic fail. You’ve just lost your audience. Listen to your audience. Find out where their own personal frustrations are not just the frustrations of the process. We engineers are fond of saying “it’s the process not the people,” which is rather cold way of saying don’t blame the people. But while we don’t want to blame, the secret to success is the people. It’s not your job to have a brilliant answer for everything. Your job is to have insight. Your job is to navigate through the morass to a solution. You need to navigate everybody to the solution or almost everyone. If you end up there alone, no matter how brilliant the plan, the plan will fail. Sometimes you will have to compromise. I know that’s hard for smart people with lots of experience to accept. Win the war not the battle. Compromise. Adjust the path. I’d love to be a dictator and tell everyone what to do, but you don’t always get to do that. If you are getting significant push back on a project point, ask yourself if you can concede that point and not jeopardize the plan. Digging your heels in like a donkey just like the person across from you will get you gridlock. Go around it or let it be. The process is never going to be a straight path. 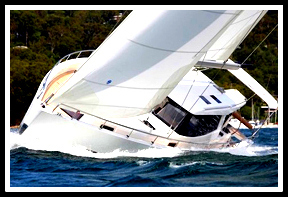 Learn to be comfortable in tacking your way across the ocean. Learn to understand the power of conceding a point. Your audience will appreciate it. Good will is powerful. More powerful than you think.